Writing table with suspended pedestal NEW! The table is intended for work with a computer and other computer equipment. The table consists of two vertical side boards connected by a vertical connecting board and a top. The workplace is equipped by a pull-out shelve for a keyboard and a suspended prop for the computer system unit. In the connecting vertical board there is an aperture for wires. 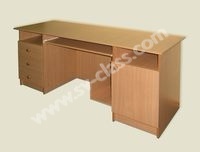 Material: laminated chipboard (the color – beech), PVC edging. Sizes (W х H х D): 900*750*600 mm. 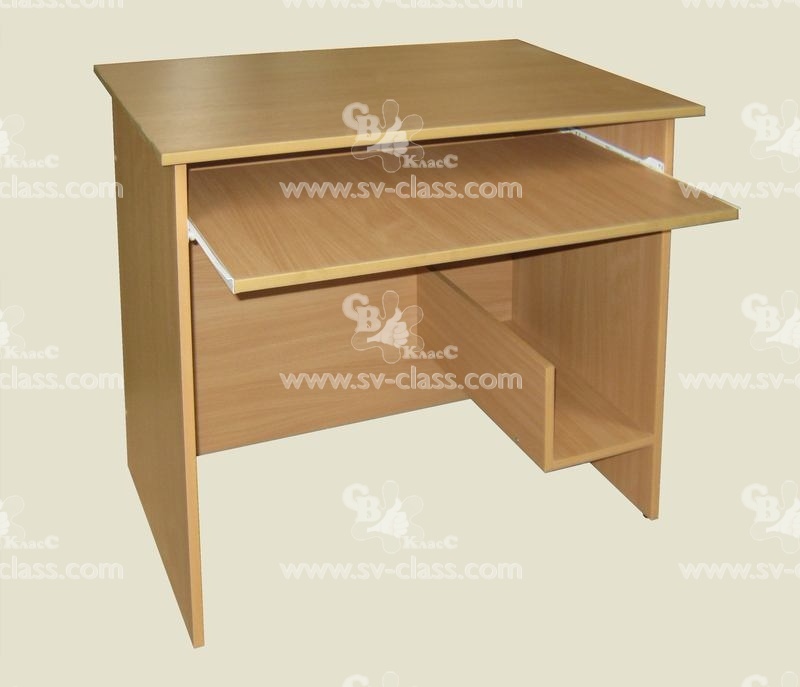 The table is intended for writing and also for work with a computer and other computer equipment. The table consists of two pedestals, connected between themselves with a rectangular top and a vertical connecting board. The workplace is equipped by a pull-out shelve for a keyboard and a suspended prop for the computer system unit. In the connecting vertical board there is an aperture for wires. Inside one pedestal, behind the door, there is an insertable shelve, the other has 3 drawers and the niche above them. Sizes (W х H х D): 1680*750*600 mm. 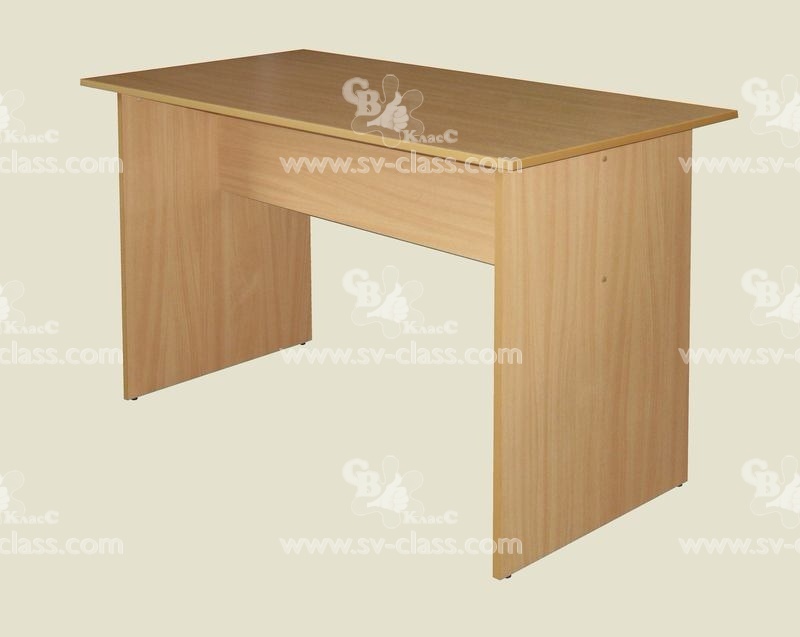 The table is intended for the equipment of one or two workplaces in audiences, studies, libraries, etc. The table consists of two vertical side boards connected by a vertical forward board and a top. 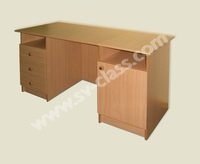 Sizes (W х H х D): 1200*750*600 mm. 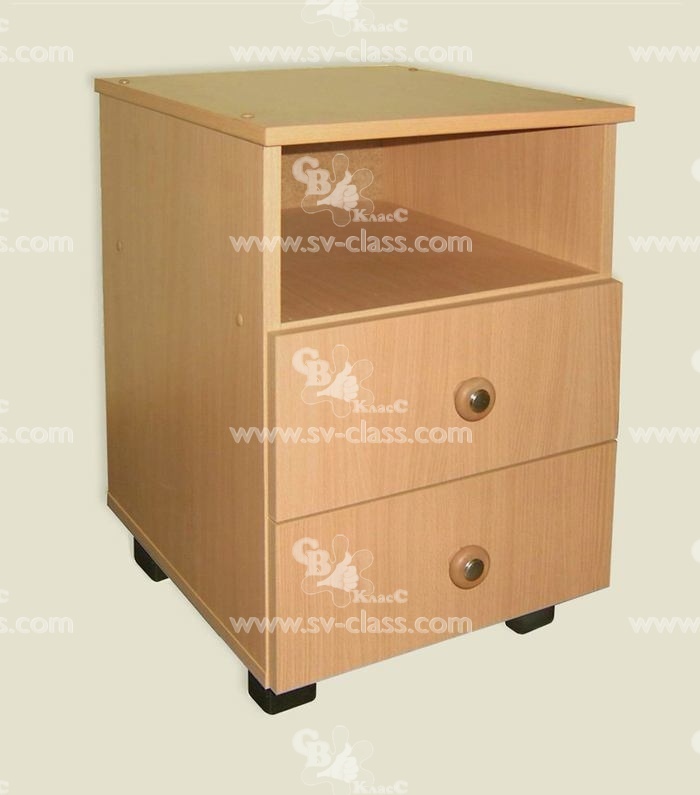 The cabinet has two roller guided drawers and an open shelve over them. Four wheels are fastened to the bottom of the cabinet. 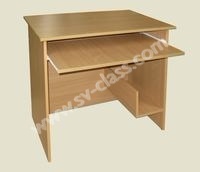 Note: the cabinet does not fit under the working table, as the vertical forward board hinders this. Sizes (W х H х D): 400*630*500 mm. The table consists of two vertical side boards, connected by a forward board and a top. 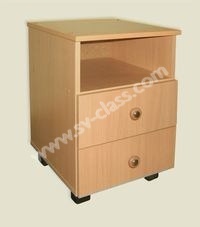 Under the top on the left side there is suspended pedestal with two drawers and one open shelve. Sizes (W х H х D): 1200*600*750 mm. 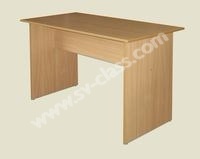 The table consists of one pedestal and a side vertical board , connected between themselves with a rectangular top and a connecting vertical board. Inside the pedestal there are three roller guided drawers and the niche above them. 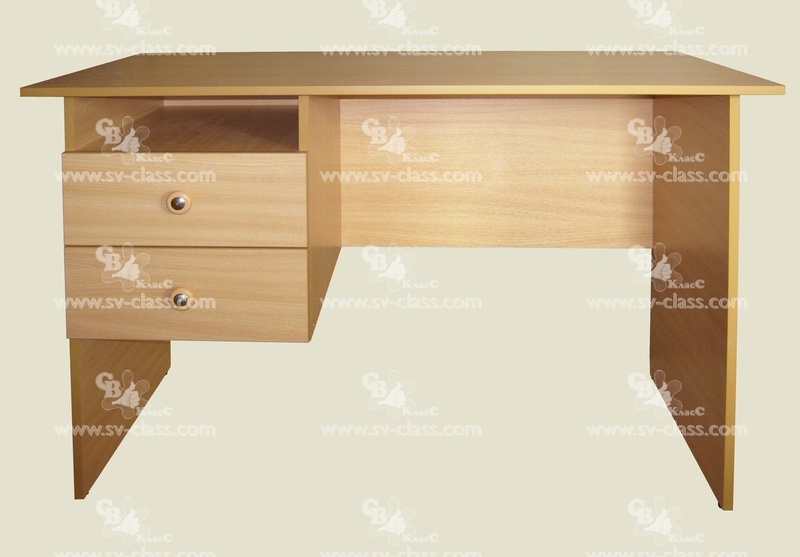 See this product in interior The table consists of two pedestals, connected between themselves with a rectangular top and a vertical board. Inside one pedestal, behind the door, there is an insertable shelve, the other has three roller guided drawers and the niche above them. Material: laminated chipboard (the color – light beech), PVC edging. 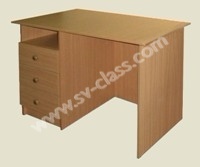 Sizes (W х H х D): 1400*750*600 mm.